Idlewild Adventure Company & Everest Academy would like to invite the Alabama home school community to Palisades Park for a day of adventure! Join us on Wednesday March 16, 2016 for a rock climbing and rappelling outing, perfect for first time climbers and anyone who has participated in our past events. The cost for the adventure is $25 per participant paid to Idlewild plus a $5 permit paid to Palisades. 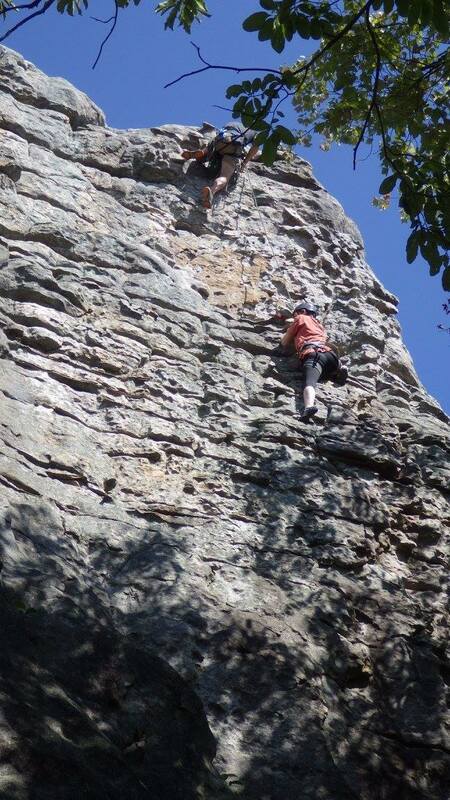 Why: Rock climbing is awesome. Details: We will meet at the pavilion nearest the park office for ground school at 11am. Students will learn about rock climbing equipment, communication and safety standards, and learn to tie in to the climbing/rappelling rope. 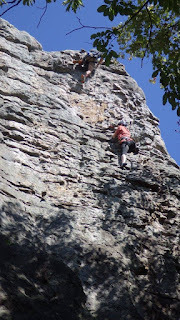 At noon, we will move to the rocks for our first rappel (which will be optional) and then spend the afternoon climbing. There should be enough time for everyone to climb and rappel on a couple of routes. All equipment will be provided by Idlewild Adventure Company, including a helmet, harness and climbing shoes for all participants. Please feel free to contact Ryan@GoIdlewild.com for more information.